Resist mold and mildew. These fungi grow wherever there’s moisture. This leaves outdoor furniture fabrics particularly vulnerable, as water can sometimes become trapped in them, creating a fertile environment for mold and mildew, which release spores that present a potential health hazard and can even worsen asthma symptoms. It also should go without saying that mold on your furniture is not very esthetically pleasing, not to mention the fact that it’s notoriously difficult to remove. Be easy to clean. Speaking of removing stains, fabrics for outdoor use are naturally more exposed to dirt and other unsightly elements. 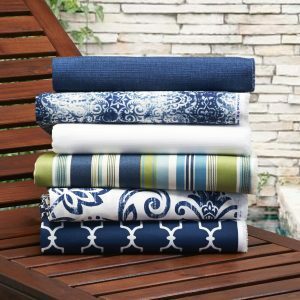 This is without even taking into account the occasional mess at a BBQ party, or kids playing outdoors and climbing all over the furniture… Therefore, it should be obvious that these fabrics should be simple to clean. Resist sun damage. 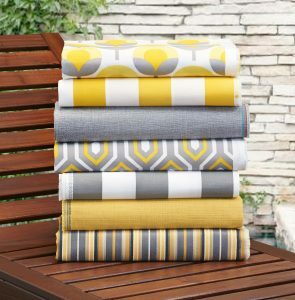 Outdoor fabrics are constantly bathed in the sun’s rays. The consistent UV exposure can cause their vibrant colors to fade. So with all this taken into consideration, which fabric is best? 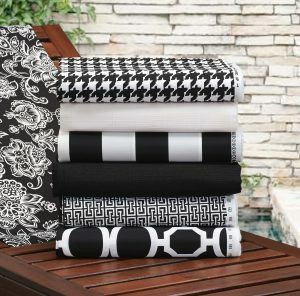 We can recommend our own line of fabrics that are perfect for both outdoor and indoor use. Our fabrics are breathable and water-repellent, which allows them to dry easily and hampers the growth of mold and mildew. UV-stabilized pigments allow these fabrics to resist sun damage for up to 500 hours, meaning your fabrics will remain bright and beautiful. 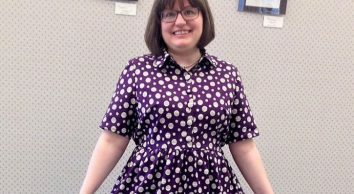 These fabrics are also really easy to care for, considering they are water resistant. A simple rinse with water and a mild soap is enough to take care of most stains. So you don’t need to constantly wash and bleach your fabrics on a weekly basis to keep them in a pristine condition. For a more luxurious option, we’d recommend Sunbrella Fabrics. Suitable for both your home and patio, these fabrics retain the comfortable look and feel of cotton, but prove more adapted for outdoor use. 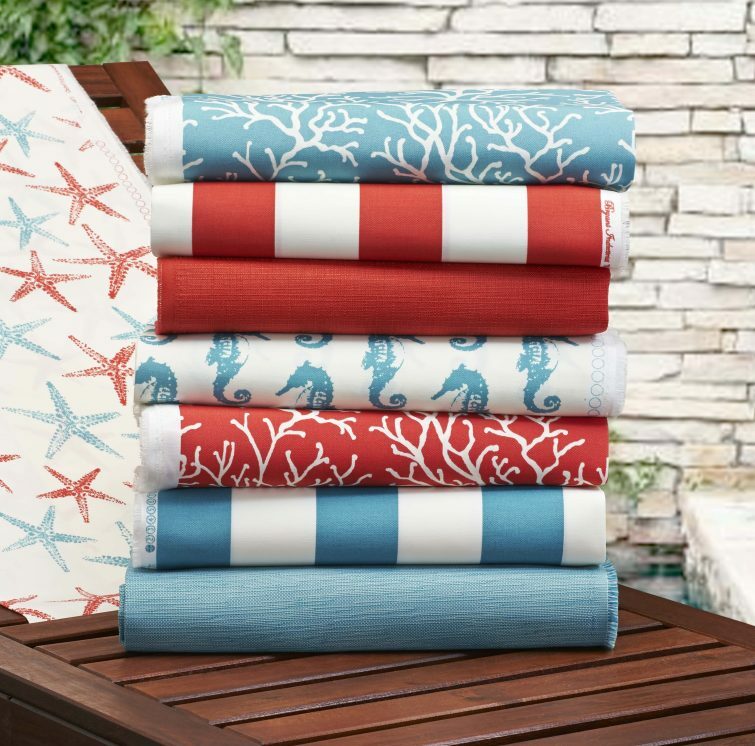 Here at Fabricville, we carry Sunbrella fabrics in a wide array of colours and styles, so you’re certain to find the best fit for your home and patio décor. Shop online with us and spruce up your old and tired patio furniture today.